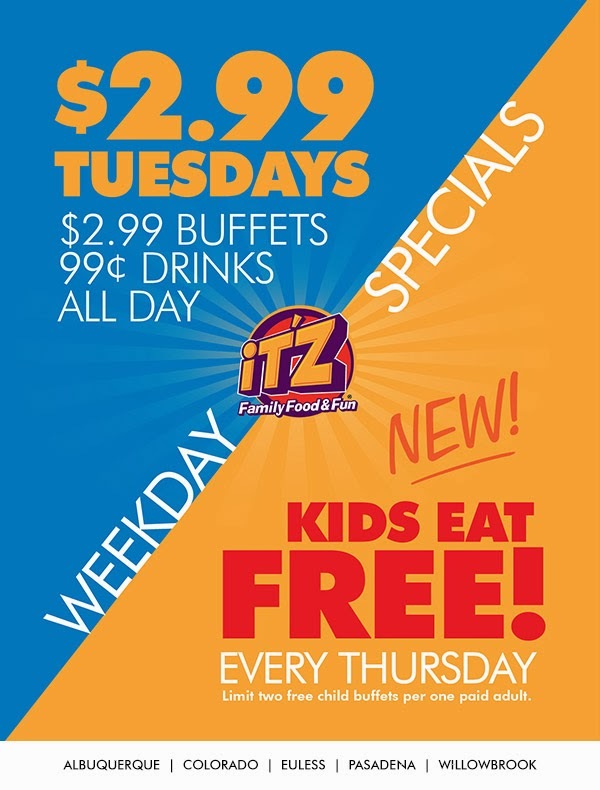 Butterfly LifeStyle | Texas Life Style + Travel Blog: iT'Z Family Food & Fun Weekday Specials! Butterfly Mommies. If you're looking for something fun to do with the kiddos check out iT'Z! There are so many fun games to keep them excited and kids eat FREE every Thursday. I recently took my kid and nieces and we had an awesome time. It's hard to find good, inexpensive food and fun at the same place but It'z has it. Visit www.itzusa.com for more information.